What’s good for Lubbock is good for the Big 12. 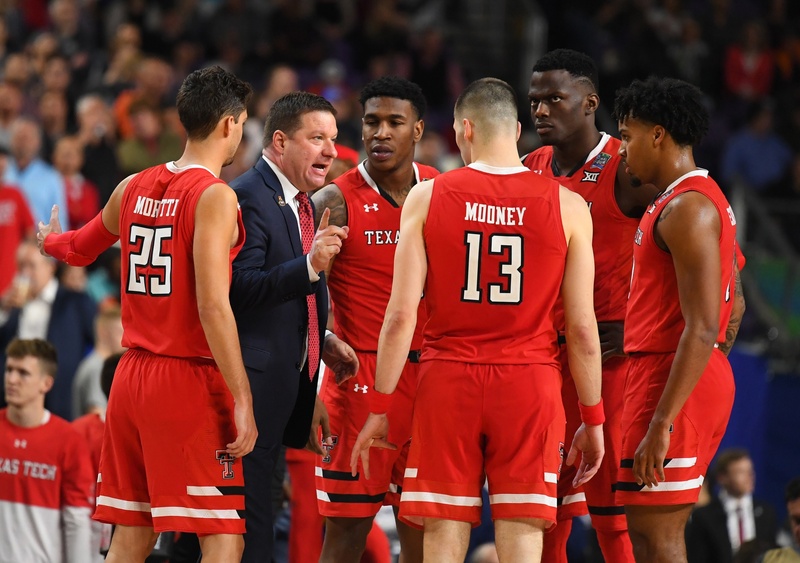 Texas Tech’s basketball program reached new heights on Monday night when the Red Raiders stood at the precipice of the program’s first national championship. Unfortunately for the Wreck ‘Em lot — and those with Big 12 rooting interests — a late comeback to force overtime ultimately was not enough to hold off a very Virginia finish, instant replay and all. As Beard and his players gathered themselves and each other to congratulate the new champs, Texas Tech AD Kirby Hocutt was dodging streamers with one thing on his mind. How do I keep Chris Beard happy and in Lubbock? The coveted program changer is somewhat of a homegrown hero. Beard spent 10 years in Lubbock under both Bob and Pat Knight before a stint coaching an ABA team and two stops in the Div. II ranks. Four years later, the 46-year-old is hottest head coach in college basketball. In three seasons as Tech’s CEO, Beard has amassed 107 wins, a conference title, an Elite 8 run and now a national title game appearance. The program’s meteoric rise is the envy of most fanbases and has raised the profile of an already respected Big 12 conference. Although some might expect Beard to use Lubbock as a stepping stone to a higher profile gig, it doesn’t appear that Beard is on the first train out of tortilla town, at least according to his postgame comments from Monday night (and much to the chagrin of some other Big 12 fans). “Hey, we’re not going anywhere,” Beard said after the overtime loss to Virginia. “We’re going to keep fighting and scrapping to build a program that’s relevant in the Big 12 and ultimately in the national tournament. We’re going to get back to work tomorrow, and we’ll try to be right back here next year, somehow, someway. Despite any coaching envy Tech’s recent turnaround may elicit, Beard sticking around and continuing to build in west Texas is good for the Big 12, and it’s good for OSU. Some might bemoan the emergence of another conference power to rival Kansas’ stranglehold over the last decade plus, but Final Fours are good for everyone in the conference. This season the Big 12 was widely considered one of the deepest leagues in the country, but without a real contender. It had one. And if it continues to have multiple teams capable of a deep tournament run on any given year, the perception of the league (and its resume’-building schedule) will only strengthen. Sure, this means one more tough opponent on the schedule, but Big 12 wins aren’t easy or guaranteed regardless of who you play. When you’re talking about probably splitting two games with a team compared to being picked to go 0-2, that one tally in either column is worth it for the extra conference clout. From a recruiting standpoint, that stiffer competition in your conference could hurt. Chris Harris, a priority target for OSU, is now following up his official visit to Stillwater with one to Lubbock, to see a team that’s getting hell of a lot more coverage on ESPN than the Cowboys — and two weeks closer to signing day. As of the time of this writing, Oklahoma State’s 2019 class is ranked 23rd nationally and fourth in the Big 12. Tech’s comes in at No. 14 and No. 2 in the league. But recruiting has and always will reside somewhere between honorable warfare and domestic terrorism. And if it’s not Texas Tech wooing your prized prospect, it will be Kansas State or Texas A&M. Again, the better the conference perception, the more crootin’ prestige. Think SEC football on a slightly smaller scale. Of course the biggest issue with Tech’s meteoric rise is the juxtaposition it forces upon Oklahoma State and its fanbase that has been thirsting for not only relevance but greatness since perennial HOF snub, Eddie Sutton left over a dozen years ago. In Texas Tech you see a similar hand gesture, but more importantly you see a program that rose from a similar state and did so much faster than even the staunchest Tech fan could have imagined. The year before Beard arrived, the Red Raiders lost in the first round of the NCAA Tournament under Tubby Smith. Before that the school suffered through eight straight years without a dance partner and hadn’t won a tourney game since Bobby Knight was slinging chairs across the hardwood back during the year I graduated from high school (you may now age me with a little Wikipedia research). Oklahoma State fared a bit better over that time with six March Madness invites and a more recent victory, against Tennessee back in 2009. But both fanbases had somehow simultaneously become accustomed to and weary of mediocrity. Tech has now found its way out of the valley, and Pokes fans can only glare into that magic mirror hoping to find a hidden map. I’m not closing the book on Oklahoma State or its chances of a turnaround under Mike Boynton. If anything, Beard and Co. have laid out the blueprint for just such a coup. It may not happen that drastically, but given the turnover Boynton has faced in his staff and on his roster, we’ve still yet to see what Boynton can do with a team he’s built at full strength. There are three things that Boynton has going for him. 1) The guy can flat out coach. That means getting the most out of your players as much as it means drawing up a play (he has proven he can do both). 2) He appears to have plenty of patience and backing from OSU’s administration. And 3) he appears to be just as hungry as he was when he started, maybe more so. Here’s his tweet from shortly after Monday night’s title game. So don’t fret or pine over the successes of your neighbors because Tech’s prosperity is for the conference’s common good. Oklahoma State’s turnaround may not happen as quickly, but it’s still in play. And Boynton appears to be a coach that can lead it.